The Afghan Hound is an ancient breed, native to the Sinai. There are pictures of this breed in caves in northern Afghanistan that date back more than 4000 years. They are hunters at heart. Because they were so extremely fast and could chase game over rugged terrain, they were known for hunting gazelle, snow leopards, wolves, and other game. They were also used by shepherds as herders and watchdogs. The breed was prohibited from exportation so they were kept pure for centuries. The Afghan arrived in Great Brittan in the 1920s and have enjoyed popularity there and in the United States ever since. Today they are primarily a show dog and a pet. The Afghan is very independent and reserved, almost haughty around strangers; however, around their family, they cut up and act jolly. They are very sweet, loyal, courageous, affectionate, sensitive, noble, elegant and majestic. They do best with older, considerate children. They make wonderful family pets; however they need a lot of maintenance and attention. The well cared for Afghan is a truly show‐stopping, beautiful dog. They usually weigh between 45 to 65 pounds and stand approximately 24‐29 inches tall. They have a sleek and muscular build. 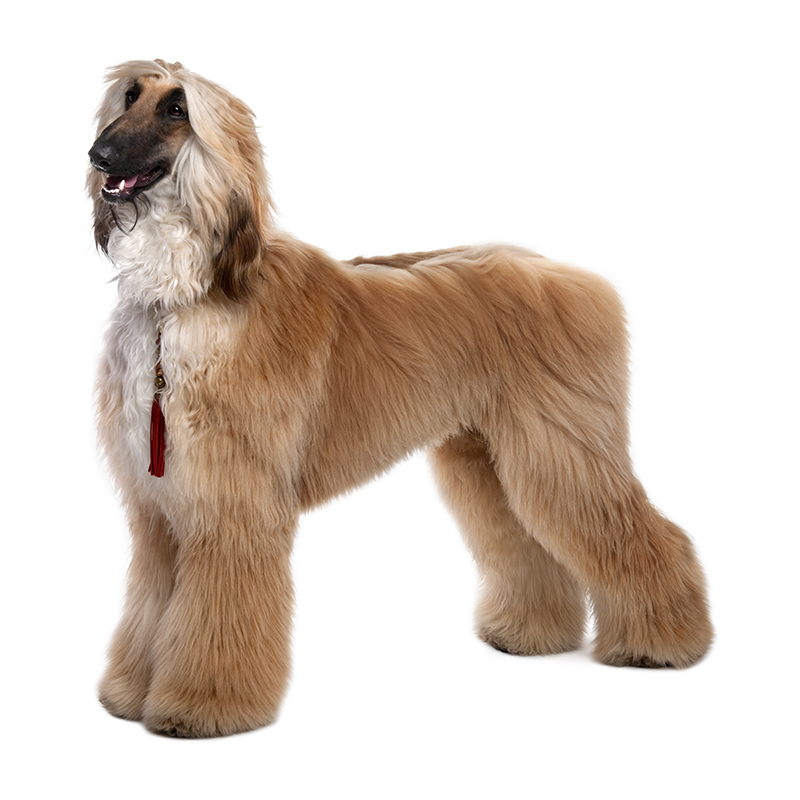 Afghans have long, luxurious coats that require a great deal of maintenance. 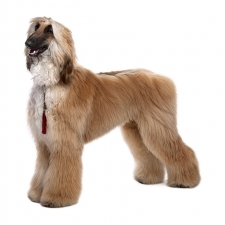 Their coat is thick and silky and comes in numerous color combinations. The yard of the Afghan Hound must be surrounded by a high fence. These dogs run like the wind and can leap extremely high. If they see something interesting, they’ll take chase. They have appeared in animated feature films, television advertisements and shows, and fashion magazines. An Afghan Hound named Snuppy is believed to be the first cloned dog in history.